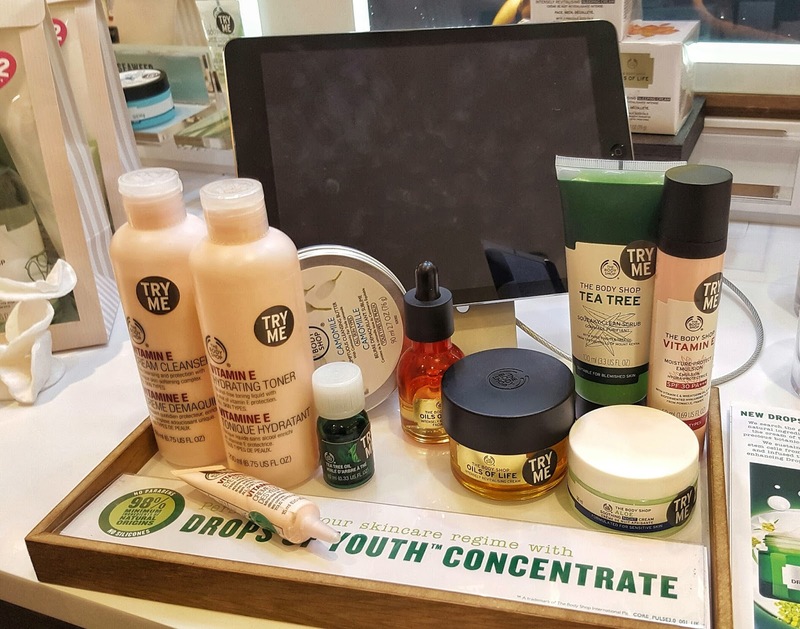 You may remember that a couple of months ago I went to an event at The Body Shop @ Cribbs Causeway which was their first event! 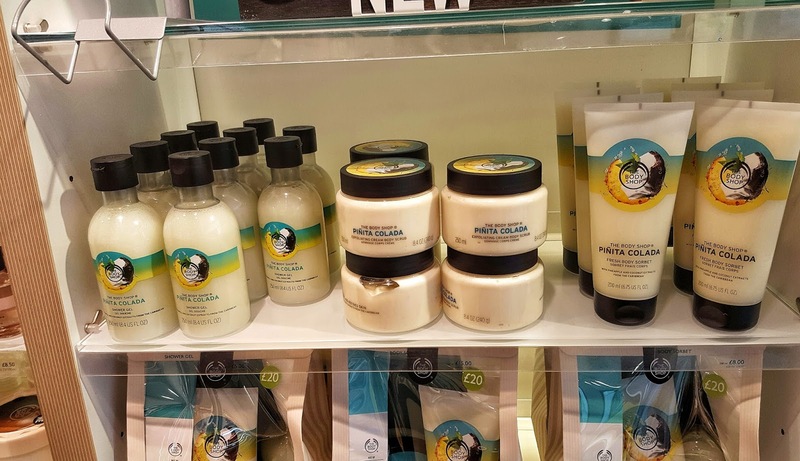 Well, last week they held another event to celebrate their new Pinita Colada range; a summer range with a Pina Colada scent. 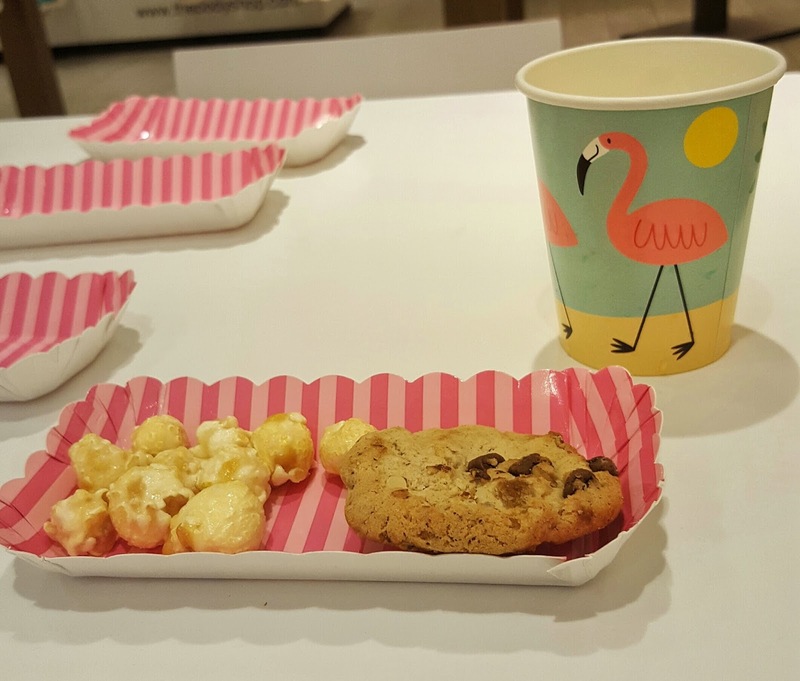 On arrival we were greeted with pretty little pin trays with popcorn and a cookie on, as well as a drink. The drink was Pina Colada juice and even the popcorn was Pina Colada flavoured! It sounds wrong but it is surprisingly nice. Next I had a hand massage with the Pinita Colada collection under their taps. I had my hand exfoliated and moisturised which made my hand smell lovely and my skin looked brighter. Not to mention relaxed! 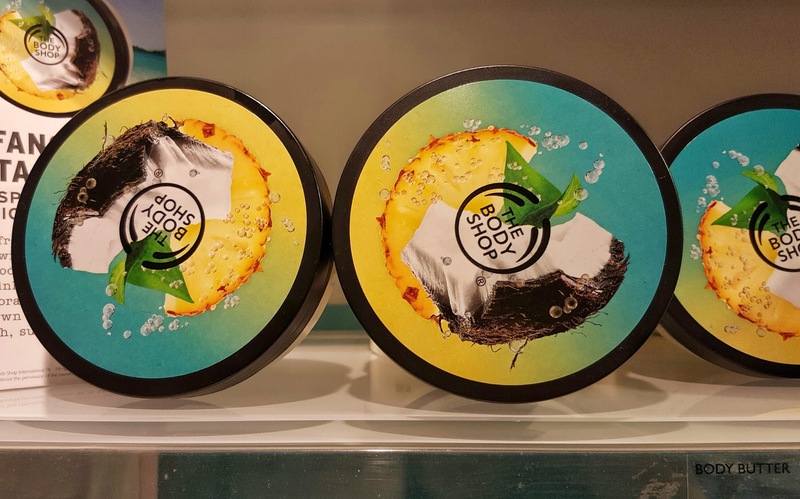 I particularly liked the Pinita Colada Body Sorbet as it feels much lighter and absorbs faster than a body butter yet still moisturises all the same. This is probably my favourite part of their events. Afterwards I went ahead and had my make up consultation. I wanted to know more about their blushers so the make up expert pulled out a few of their blushers and applied a neutral matte one on my face. She then showed me their new Instaglow CC Creams and tried the Peach Glow one on the back of my hand which gives your skin a glow and deals with redness. The packaging is rather nice and as someone who loves colour correcting I think they're a great idea. They also have SPF which is a bonus! 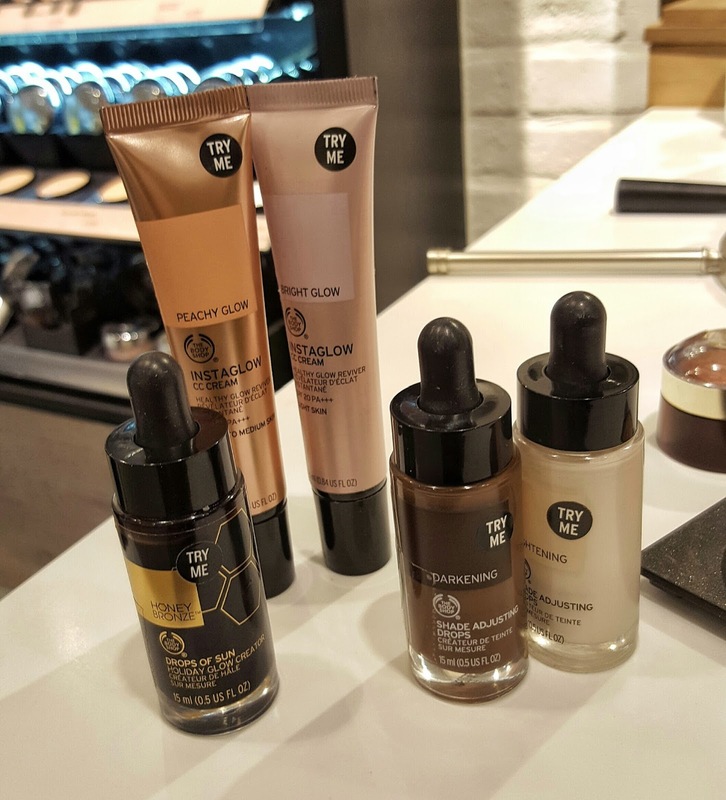 In addition there are new Shade Adjusting Drops to adjust your foundation if it's not the exact colour of your skin which I think is a fabulous idea. Lastly I had a skincare consultation with a skincare expert. Last time I had a consultation they recommend the Aloe Soothing Night Cream to me which I bought and loved so I really wanted to take her advice again as my skin has changed recently. I explained to her that because of new medication my skin was now rather dry but still acne-prone so she recommend me some of the same products as before and some new ones. I also asked her about SPF moisturisers for going abroad with as I have been looking for the perfect one! I enjoyed the event as much as the first one and as before the staff were lovely. 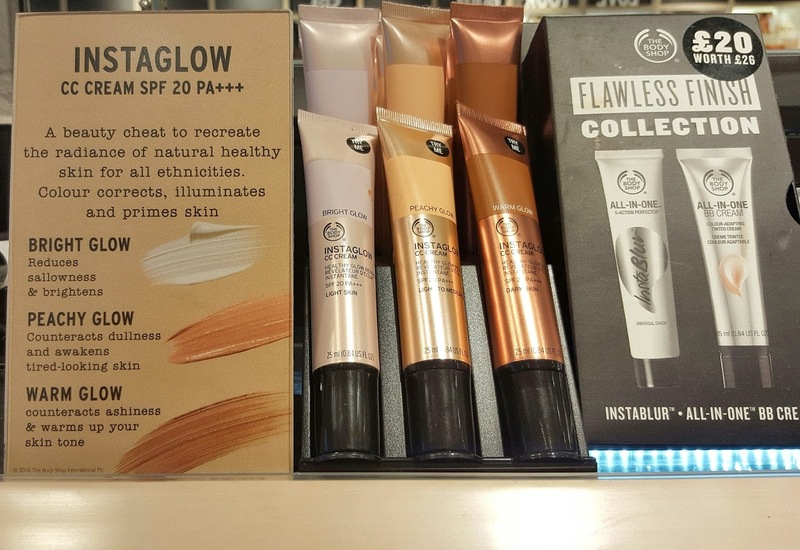 They also kindly gave us goody bags and I was excited to see the new Instaglow Peach Glow CC Cream in it so I will definitely be writing about that at some point! In June and July I am going abroad so I needed to stock up on some travel size products. 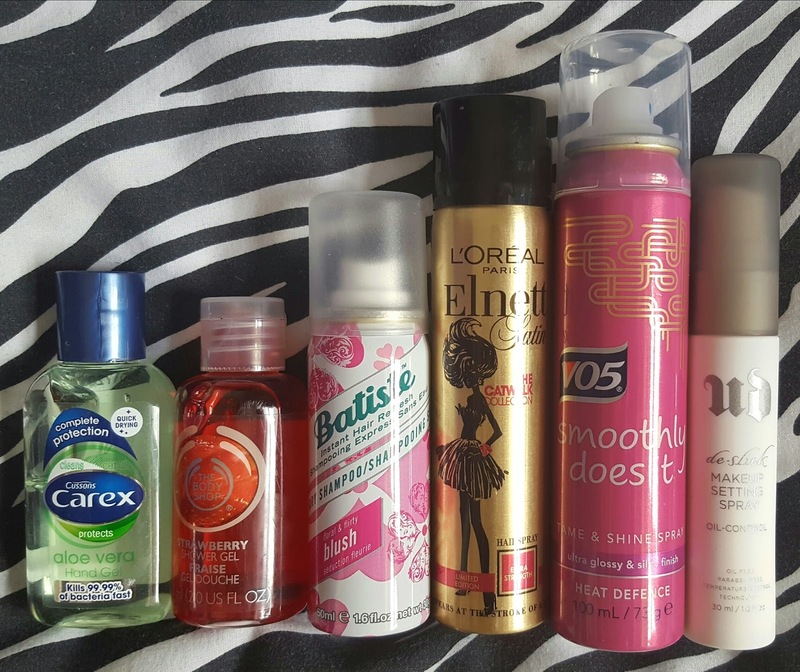 All products mentioned are 100ml or under which fits in with the UK's guidelines on bringing liquids in your hand luggage. The first item is simple but important- Carex Aloe Vera Hand Gel (50ml). I want to bring it with me so I can bring it out with me to make sure my hands are clean. I like the aloe vera one as hand sanitisers can be drying and I have sensitive skin so aloe gel helps to keep my skin calm. Pretty simple really! The next item is a slight cheat. This item I already owned so I didn't buy it with the others but it is still a travel size product that I am bringing. This is The Body Shop Strawberry Shower Gel (60ml). It is the perfect size and the strawberry scent smells particularly fruity and perfect for summer. Then is the travel size of Batiste Blush Floral & Flirty Dry Shampoo (50ml). The scent doesn't really matter to me but I use dry shampoo every week of my life so this is a necessity! The big bottles I usually buy are way too big to bring so this is a good size. As someone with lots of baby hairs that stand up on end, I need hairspray. Likewise to my dry shampoo, my usual bottle is a huge bottle so would be no good for travel! This is the L'Oreal Elnett Satin Extra Strength Hairspray (75ml). The Elnett hairsprays remind me of my Mum as I always remember seeing them on her dressing table as a kid. When I used to do dance competitions she would use it on me so for that I just had to buy it when I saw it! For heat defence, I picked up the VO5 Smoothly Does It Tame and Shine Heat Defence Spray (100ml). I actually didn't realise until after I bought it that this is for dry hair rather than wet hair which is when I had it in mind for, but it should be okay! I always try to avoid hairdryers but regularly use hair straighteners. Lastly is my all time favourite, Urban Decay De-slick Make Up Setting Spray (30ml). I buy this regularly on FeelUnique and love it for travelling. 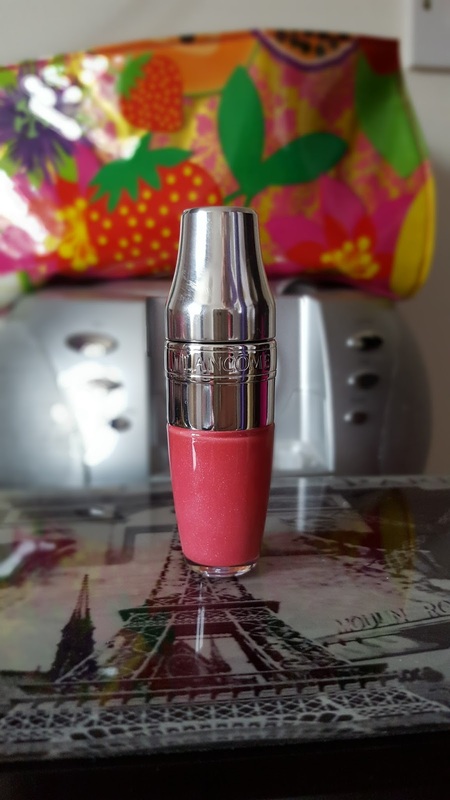 It keeps my make up in place well and I love it for hot weather as it has temperature control. It works wonders for stopping my make up from melting off in the heat! If keeping your make up in place on hot days is an issue for you then I really recommend this. So that's it! Anything else I need travel sizes for I am just decanting from my full size products into empty travel bottles. I think this is probably the earliest I have ever uploaded my monthly favourites blog post! My first favourite is my Essentials Amethyst Teardrop necklace. My boyfriend bought me this for my birthday; he definitely knows my taste! It is a beautiful purple amethyst with a sterling silver chain and silver veins curling over the amethyst. I love it and I have been really enjoying wearing it. The second favourite is the Kiko Milano Water Eyeshadow '329' which Emily bought me for my birthday. I had seen these around and Emily was kind enough to buy me this lovely silver glittery one. The great thing about these is that you can use the eyeshadow dry for a more subtle look or wet for a more intense look. I have used this all over the lid or on the inner part of my eyelid. Review to come! My next favourite I have written a review about and it is The Body Shop Aloe Soothing Night Cream. This night cream has really been helping to nourish and calm my sensitive skin and battle any dry patches. I can already see the bottom of the tub I've used it so much! The final favourite is the Inglot Freedom System Rainbow Double Sparkle '126' Eyeshadow which I got in Dublin. An Irish YouTuber that I watch adores Inglot Cosmetics so when I went to Dublin I had planned to buy an Inglot product. 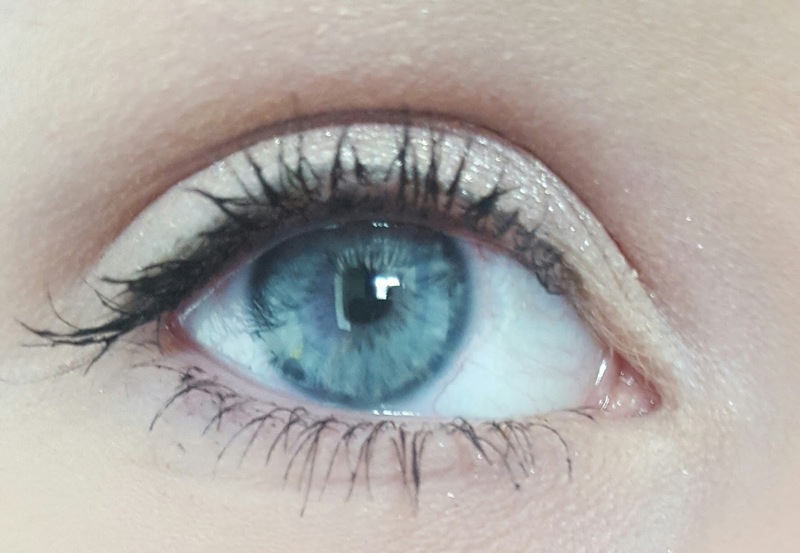 This eyeshadow comes with 3 shades of blue and this month I've been particularly enjoying the middle shade of blue for applying at the corners of my eyelids and in my crease. It's like 3 eyeshadows for the price of 1! Of course, a review to come. What have you been enjoying in May? I'm hoping to buy some make up that I can't get in my city/country on my June travels so hopefully my June favourites will be an interesting one! 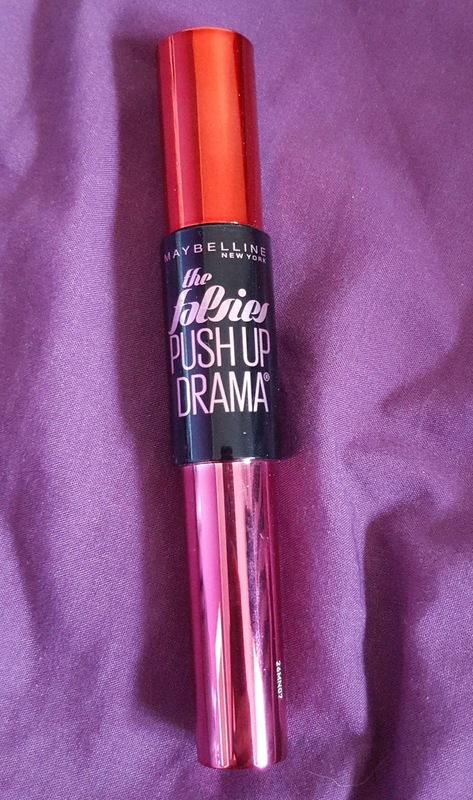 This is the Maybelline The Falsies Push Up Drama Mascara which came out this year. I had heard lots of brilliant things about this mascara from bloggers and YouTubers so I decided on a whim in Boots that I'd buy it. I didn't need a new mascara, but how many is really too many? I tell myself it is for the purpose of the blog. Maybelline claim that this mascara instantly plumps and volumises lashes and keeps them lifted with styling wax. The brush has cup shaped bristles to push up your eyelashes to give a lifted effect. The packaging is half red and half black which a black band in the middle, making it look like there might be a wand on either side but there is only one! It is a tall mascara. When I first opened the mascara the first thing that hit me was the smell. It smells so strong and so bad that it made my eyes water! Fortunately the scent has died down over the time but for a while it definitely wasn't a treat for my sense of smell. To give you context, my eyelashes are straight and point outwards and downwards so have no lift to them. I also don't have many eyelashes and some short eyelashes due to losing lashes from a previous eye infection. So for me I am looking for mascara that curls my lashes and keeps them lifted! I battle the sparse lashes by tight lining with black eyeliner to give the illusion I have more eyelashes than I actually do. When I first used the mascara I honestly didn't like it and I panicked because everyone else seems to like it. When I used it the smell bothered me, it was very clumpy and clumped my lashes together. It was also very messy and I had a lot of clean up to do afterwards. The only things I seemed to like was that it made my eyelashes look longer and very black. This is one of those mascaras where the formula gets better after using it for a while. 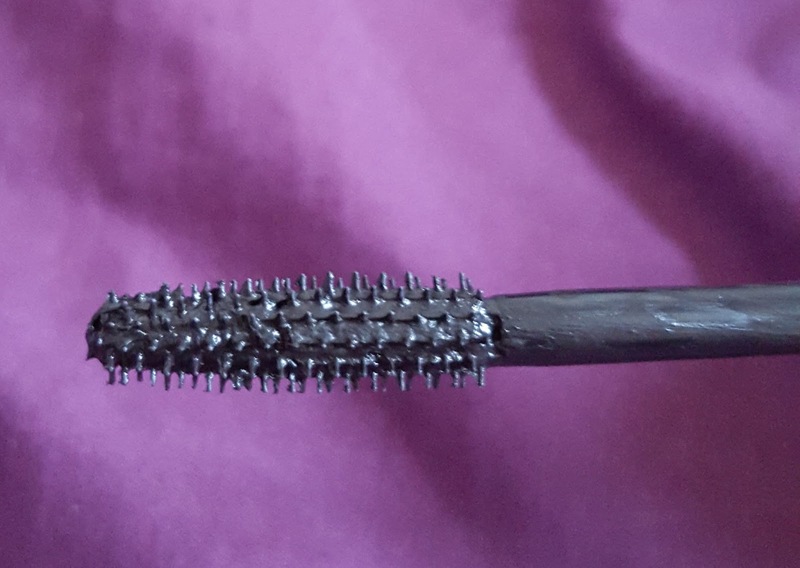 The formula was quite wet and clumpy at first and I had to ensure I brushed my lashes through with an eyelash comb before and after to make it work. However after a while the formula changed and became less wet and less clumpy. As for my lashes, they are extremely black and I see definite length added to them when I use this mascara. If I do it right (which I'll go on to explain) my eyelashes do lift up at the ends and I can add an extra lift to it throughout the day by just holding my finger under my lashes and gently pushing up. The mascara then helps to hold them up. The mascara is still a bit messy and I find it near impossible to use this mascara without leaving some sort of mess. When I do my inner eyelashes and lower eyelashes 8 times out of 10 it will smudge. This is annoying but can be cleaned up by leaving it to dry then flaking it off with a cotton bud. So as I mentioned above, I have a 'right' way of using this mascara. It took some trial and error but I have found that I need to do it in a certain order to avoid clumping. First of all, when I pull the wand out of the product I have to wipe some of the product off. I then start with my upper lashes of the eye with the most eyelashes, that being my right eye. This is so the product spreads out over the majority of my lashes to avoid the clumping. 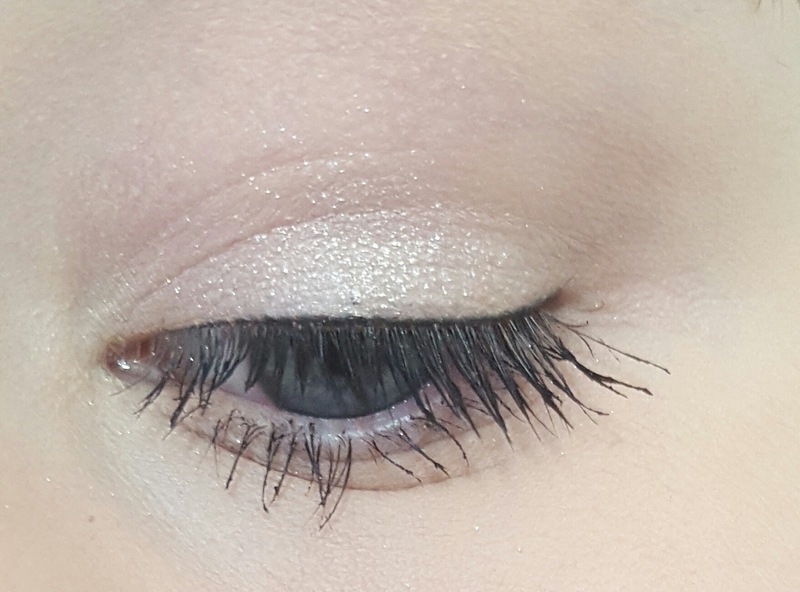 I then like to do the upper lashes of my left eye before doing my lower eyelashes so there is less product and thus less likeliness of clumping on my lower lashes which are short and sparse. When done correctly I do like my eyelashes with this mascara as they have a small lift and are lengthened. Done incorrectly and my lashes are clumped together and messy. As for lasting power the mascara doesn't smudge on my upper lashes and smudges slightly from my lower lashes after 4 hours. This doesn't bother me much because I just swipe it away with the side of my index finger. I don't sell it very well but this mascara is actually alright and I've definitely used worse. I like the little lift it gives my eyelashes but I reckon I could find another mascara with better lift and better hold. But for now I will continue to use this one and will take it away with me when I go on holiday. I do recommend trying it because out of all the reviews I had seen on this they were all pretty positive so it does seem popular! It is £7.99 which is a fair price for a Maybelline mascara. 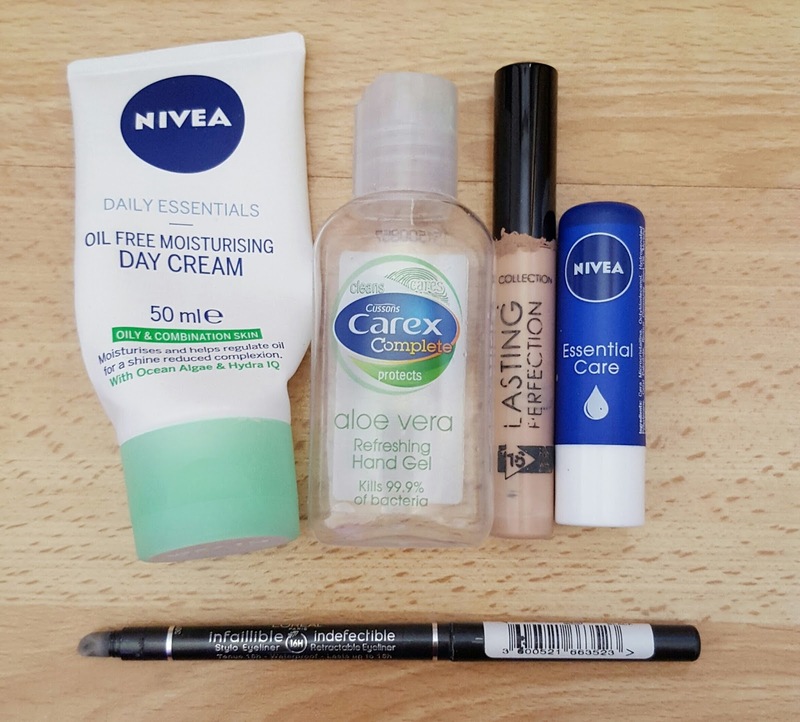 My monthly empties post is upon us and today I want to share with you 5 products; a mix of skincare and make up. So let's go! Nivea Oil Free Moisturising Day Cream [Oily + Combination Skin]- This moisturiser was fairly standard. It didn't amaze me nor did I hate it. It is a light formula and sits well under make up. I liked the fact that it was oil free for my acne prone skin. Carex Aloe Vera Hand Gel- I have already repurchased this. I use hand gel all the time, examples being when I'm ill (which is frequent!) and after applying products to my face. I'm trying to get into the routine of taking it out with me and using it when I'm out to help try and prevent me from getting ill so much. I like the aloe vera as my hands are sensitive. Collection Lasting Perfection Concealer- My babe, my number 1 and only concealer. Works for under eye bags, spots and redness. Yay! Nivea Essential Care Original Lip Balm- I really love this lip balm and I can't decide if I prefer my Carmex lip balm or this one. I like the fact that this is in stick form rather than tin form as it means I don't have to scoop up lip balm that gets stuck under my long nails! 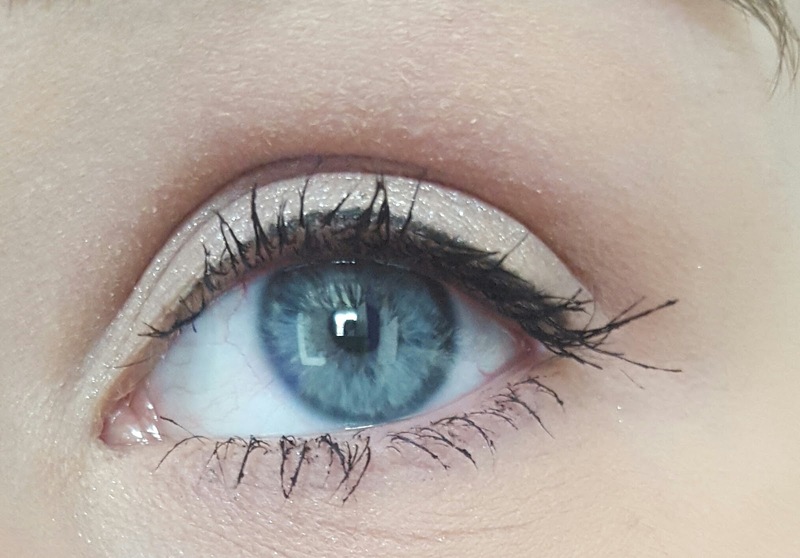 L'Oreal Infallible Indefectible 16hr Eyeliner 'Night Day Black- This used to be my holy grail eyeliner in school and I repurchased it over and over. I'm more into liquid eyeliner now so I haven't bought it again but may do so for tight lining! So that's it for another month. What will June bring? As if I haven't mentioned it enough already, at the moment I am on a gap year. So far this year I have visited Alicante, Spain and Dublin, Ireland, but the main goal for the year was to go interrailing. For anyone who doesn't know, this is travelling around Europe on the trains. Now that my trip is finally booked and another holiday on the side, I thought I would share with you guys my travel itinerary for June/July. My friend and I were planning to go to Amsterdam right from the beginning as well as Rome because we were really eager to. The other cities we had just planned around the route and thought would be nice. I have been to Paris before and that is it out of those places. Bern was the totally random option we chose and we have no idea what to expect from it. But that is what makes it exciting! We will fly to Amsterdam and then fly back from Rome. We will be travelling over the course of 2 weeks. In July I will also be going to Tenerife, Spain for a week with my boyfriend. Tenerife is one of the Canary islands and is supposed to be quite good for young couples. This will be our first holiday together, bar a weekend in Brighton, so I am quite excited! My interrailing trip is more about exploring the cities whereas this holiday will be more about relaxing on the beach. Yay! I can't wait to get going. I have worked hard to save up for these trips and I cannot believe they are finally a reality. If you have any recommendations for any of these places please let me know! 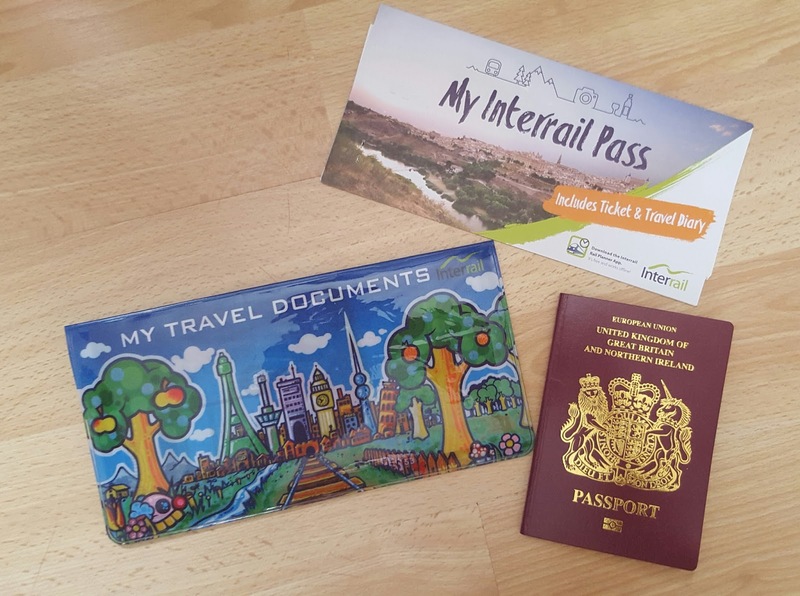 I will also have plenty of travel posts coming up about these places including posts about interrailing and how to book it. So watch this space! You can never write too many Lush posts! For those of you who don't know, the bubble bars are different from the bath bombs as they create bubbles as well as colour. You use them by crumbling them under the running tap water to make all the bubbles appear! This is the Brightside bubble bar. It is a one of the bigger bubble bars which means you can use it for multiple baths. 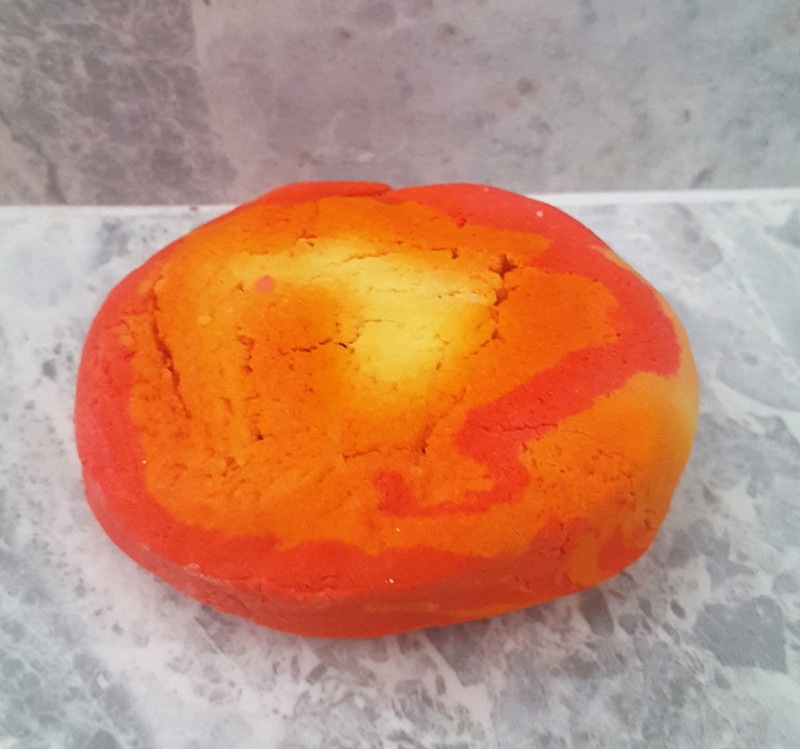 It is an absolutely gorgeous bubble bar with swirls of red, orange and yellow; reminding you of a sunny Summer's day. It is certainly very appealing to look at and puts you in a good mood! As you can probably guess from the colours, this is a citrus bubble bar. Ingredients include tangerine oil, bergamot oil, gardenia extract and limonene. All of these ingredients create a citrus smell which radiates from the bubble bar and transfers into your bubbles. I find the easiest way to use this is to hold one side under the tap. I couldn't really break off a piece when it was whole so I held it under the tap for a bit them crumbled bits when there was a dent in the bar. 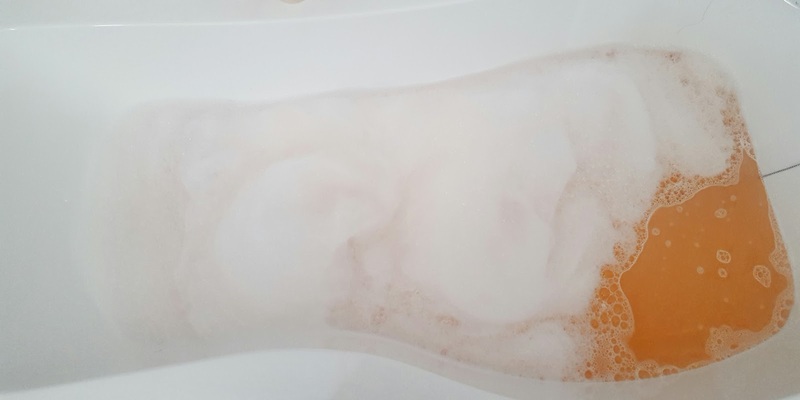 The bubble bar creates plenty of bubbles and turns the water a beautiful vibrant orange which I'm quite the fan of. It doesn't take much of the product to create a decent amount of bubbles so this bar will last very many baths. At the price of £4.95, this is great! I recommend this for people who love citrus smells, want plenty of baths out of one product and have the need to brighten up their day. This would also make a really good Lush gift to someone who enjoys soaking in bubbles. What is your favourite bubble bar from Lush? 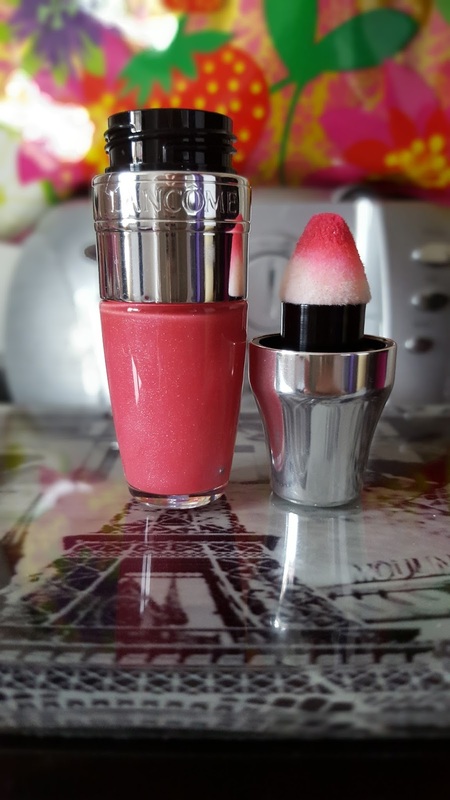 I'd like to talk to you guys today about my first ever Lancome product (which I actually won in a giveaway) and probably one of the bigger make up releases in 2016: the Lancome Juicy Shaker. Lisa Eldridge is the Creative Director for Lancome and was involved in the making of this so anything to do with Lisa Eldridge will make me excited! The Juicy Shakers are described as fruity lip glosses with a bi phased formula pairing oils and pigments for glossy lips. Sweet almond oil, omega 3 and cranberry oil ensure your lips are juicy and moisturised whilst the coverage is sheer. You can see the oil and the pigment separate in the bottle so remember to shake it up! The packaging is exciting looking as it's similar to a cocktail shaker and the applicator is an amazingly soft and bouncy cushion. I really enjoy how the applicator feels like its bouncing on your lips and it certainly helps to make sure you don't go over the lines of your lips. The colour I have is 'Meli Melon' which is a soft pink. As you can guess from its name, the Juicy Shaker smells like melon and it is AMAZING. It doesn't smell cheap or synthetic and I can't stop smelling it! As for the colour I am not really a fan of pink so I'd be better off with a red, but despite that it is sheer enough that it doesn't bother me too much. I have mostly used this product alone and I like it best when I am having a minimum 'barely there' make up look as it gives me a little something on the lips. I have also tried it over lipstick by applying it on the middle of my lips to make them look juicy which also works well. I don't own any pink lipsticks but I have used it on red lipstick and it still does the trick. It truly does work well either way which makes it quite versatile! As it is a lip gloss it doesn't last long if you are eating and drinking. However, I find this is to be expected with lip gloss and it doesn't really matter when you can reapply so easily. Something interesting I found about this is that it doesn't leave that 'sticky' feeling lip glosses always leave and instead feels more comfortable on the lips. Yes, it feels slippery, not not sticky! Does that make any sense? It just doesn't give the same feel that I normally come to expect from lip gloss. I think it is the oils in it that helps. For someone who doesn't wear pink and doesn't wear lip gloss, this really shocked me. I actually like this and it is definitely not something I usually go for! Sometimes it's good to try something you wouldn't normally try...you may surprise yourself. The Lancome Juicy Shakers come in 13 shades with one limited edition shade and are £18.00 each.